Celebrate the sights and sounds of Pink Floyd, one of the world’s most successful and influential bands of all time. 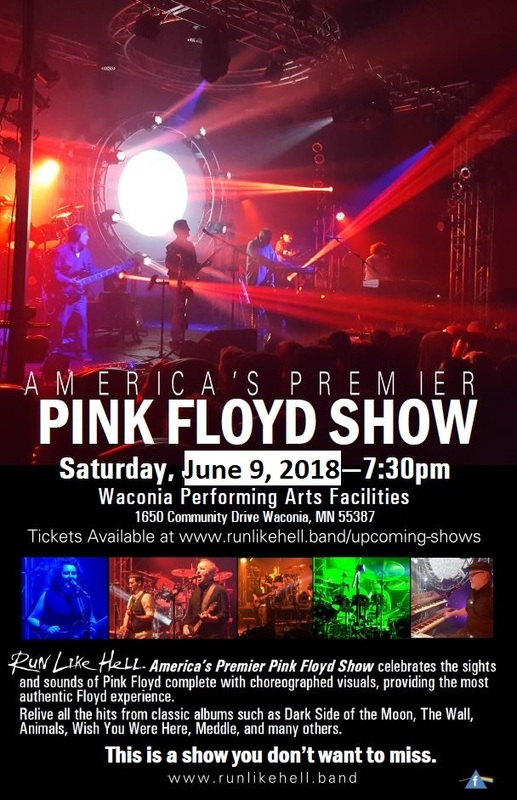 Based in St. Paul, MN, America’s Premier Pink Floyd Show is a band of six accomplished musicians meticulously recreating the iconic, unique sound and spectacular choreographed light and video show experience of Pink Floyd. Their attention to detail and energetic performance recreates the excitement in a way that even the most serious fan can appreciate. The love for Pink Floyd’s music spans the generations and is a huge hit with every crowd. America’s Premier Pink Floyd Show plays hits and deep tracks from classic albums such as Dark Side of the Moon, The Wall, Animals, Wish You Were Here, Meddle, and Obscured by Clouds.